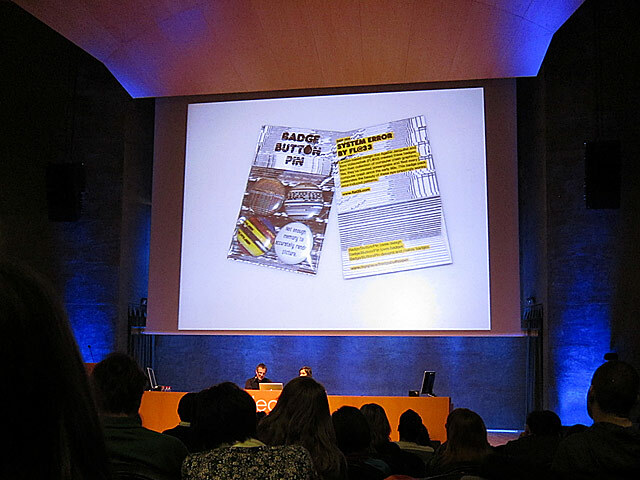 Spanish publishing house Index Book kindly invited the FL@33 team to come to Barcelona for a few days to give a talk in March 2010 in front of hundreds of visitors to the first of their annual Selected Europe conference and workshops. 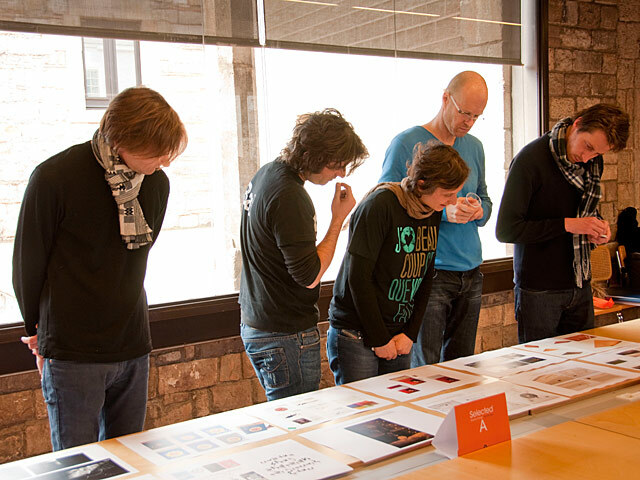 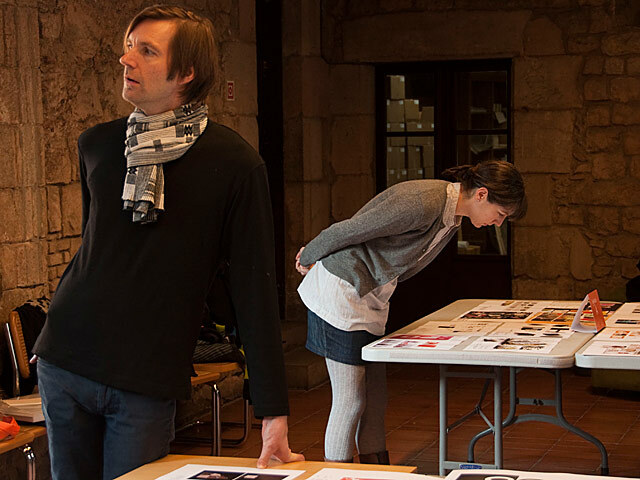 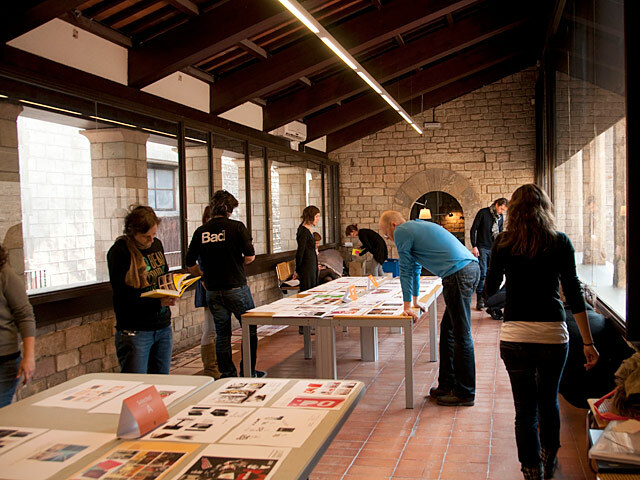 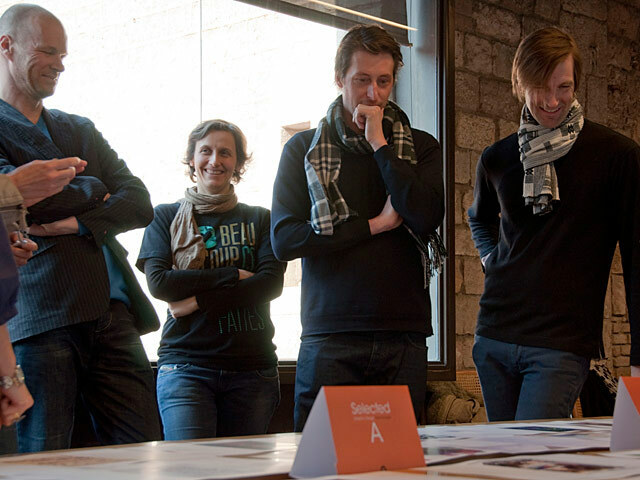 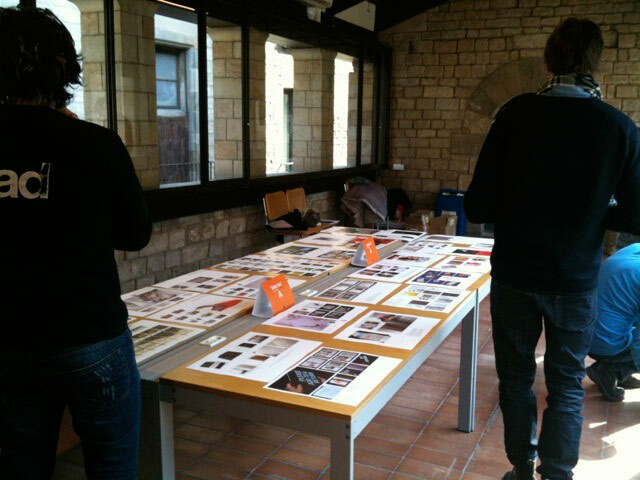 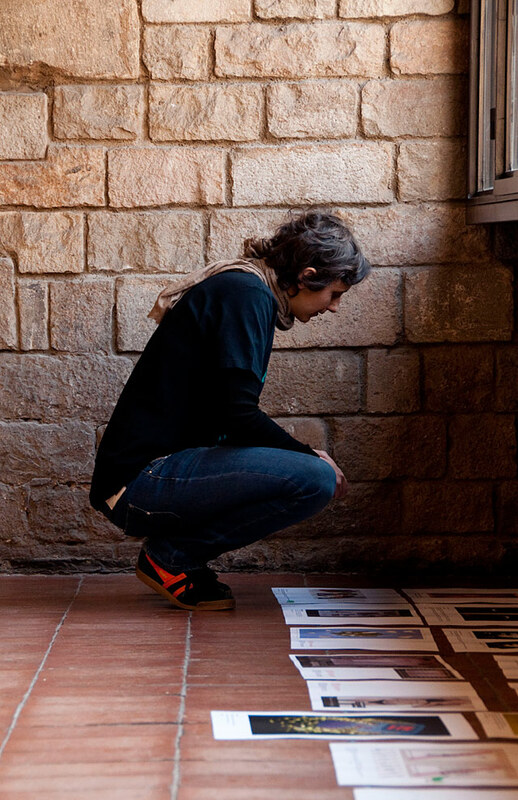 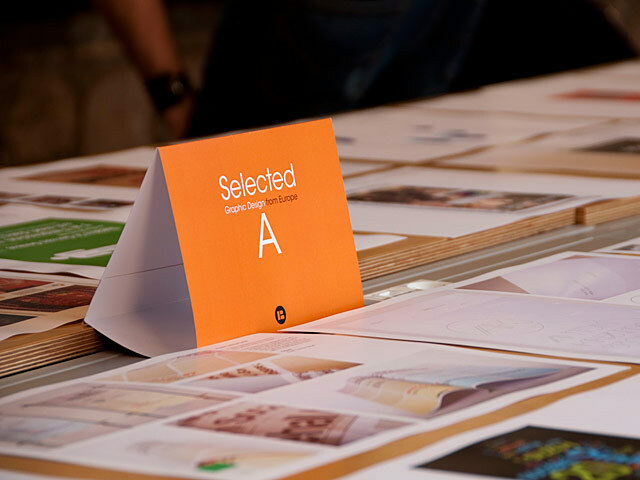 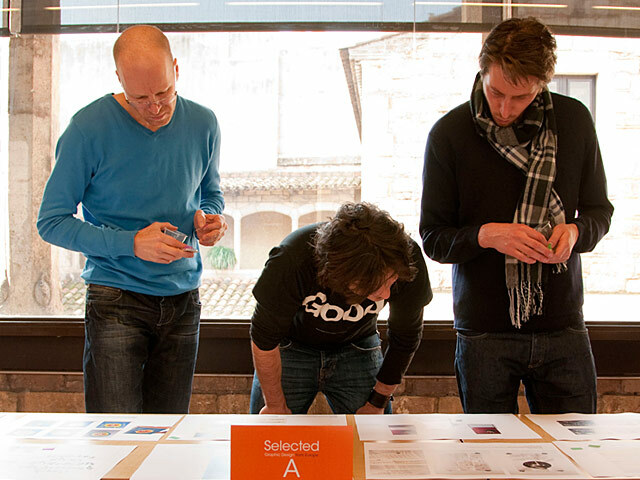 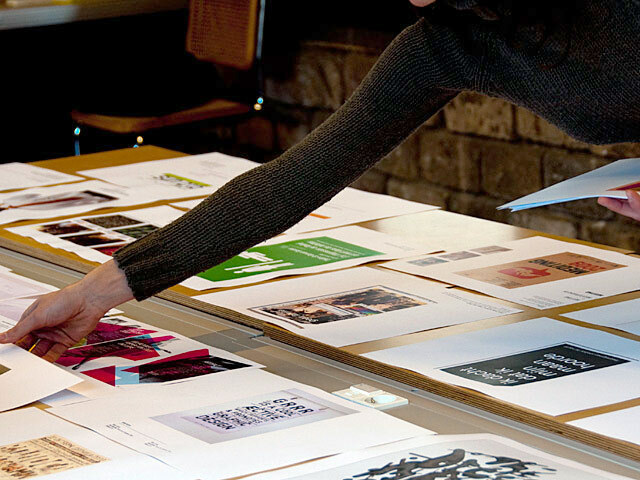 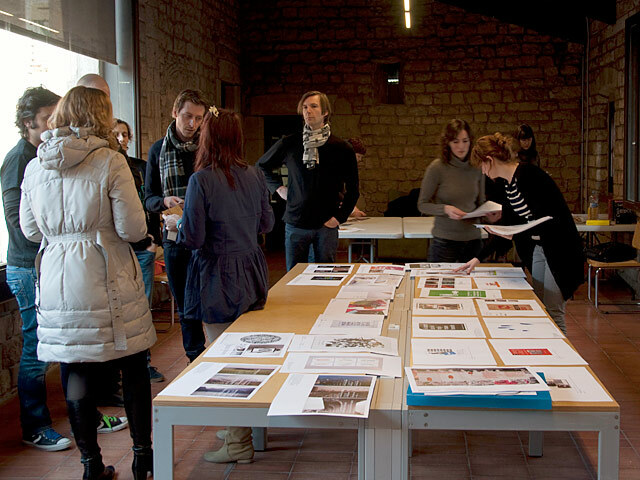 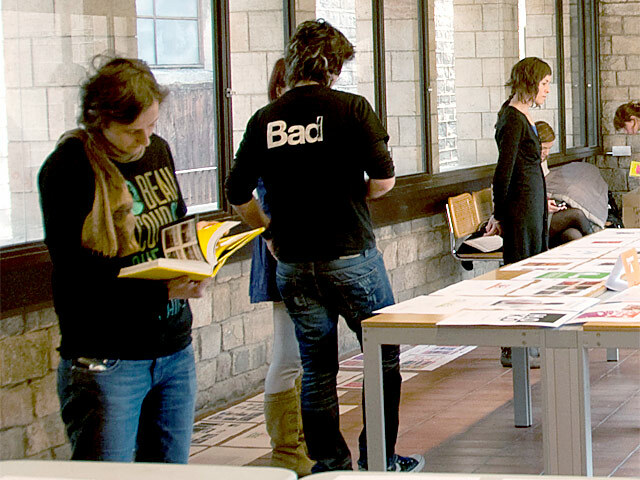 ___ Our very own Agathe Jacquillat also joined an international judging panel that had the duty prior to the conference to select the best of the entries sent in for possible inclusion in an Index Book publication also entitled Selected A - Graphic Design from Europe. 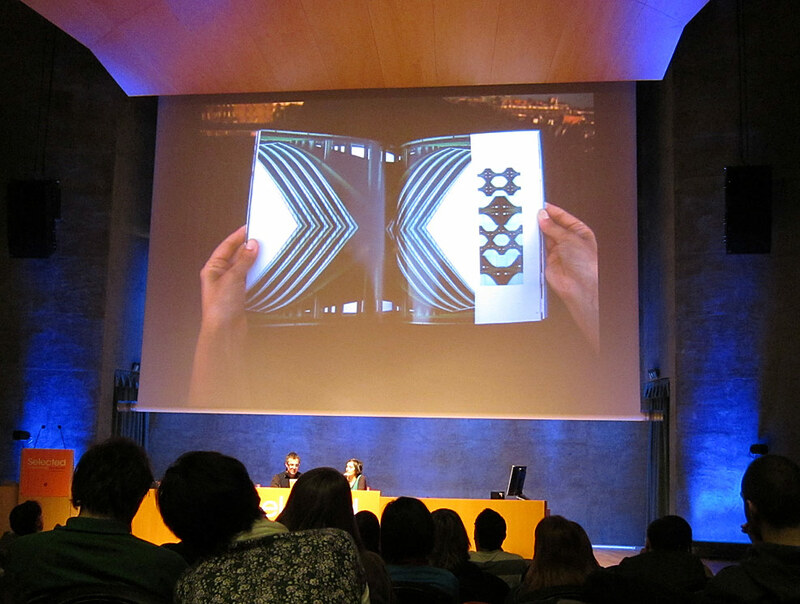 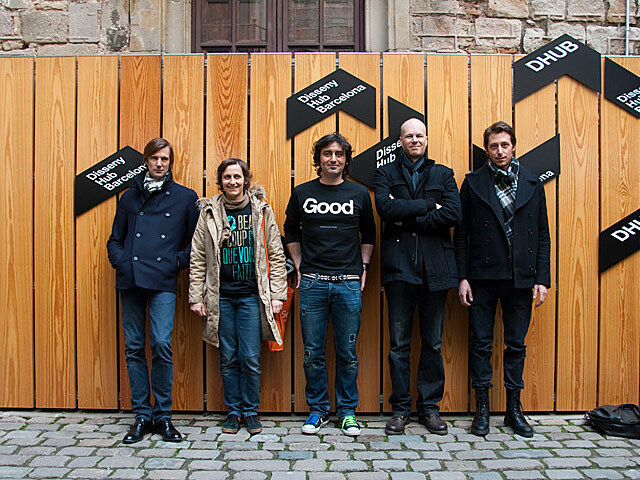 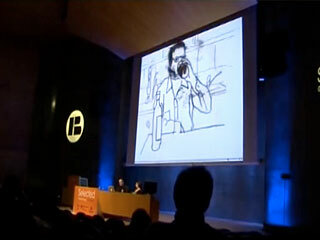 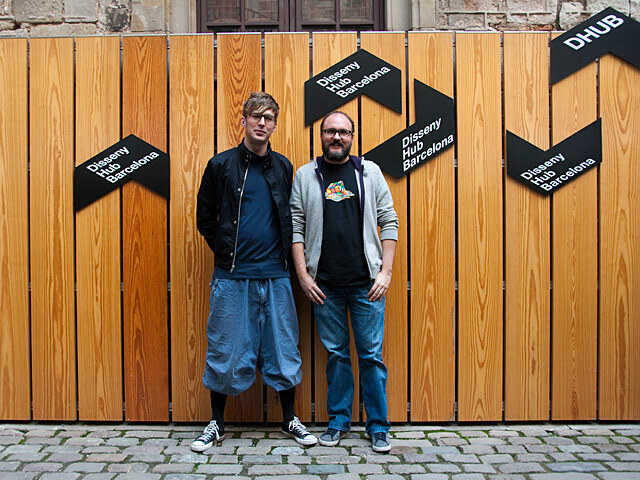 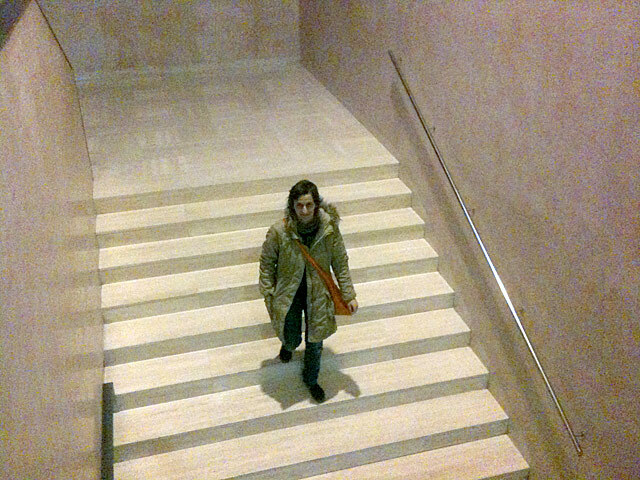 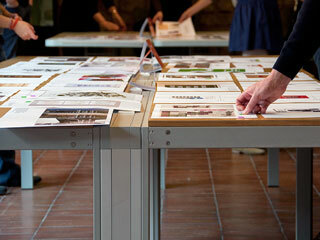 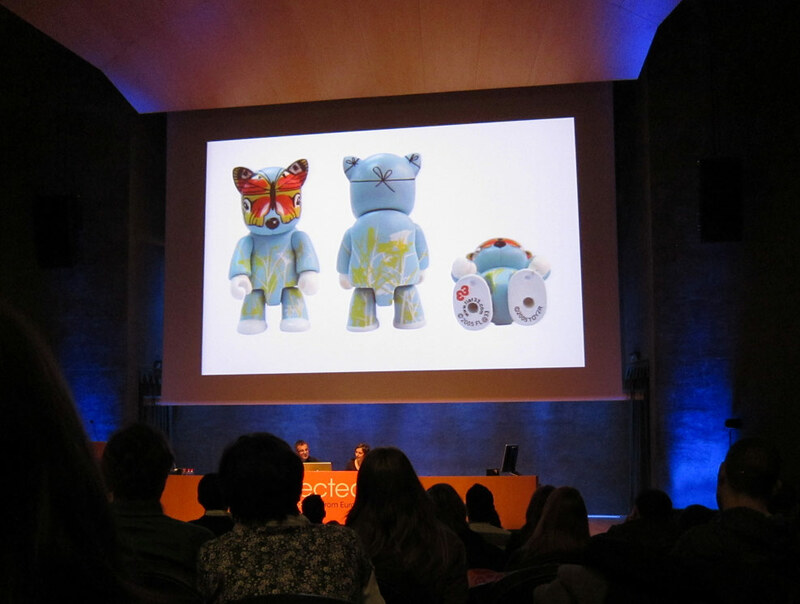 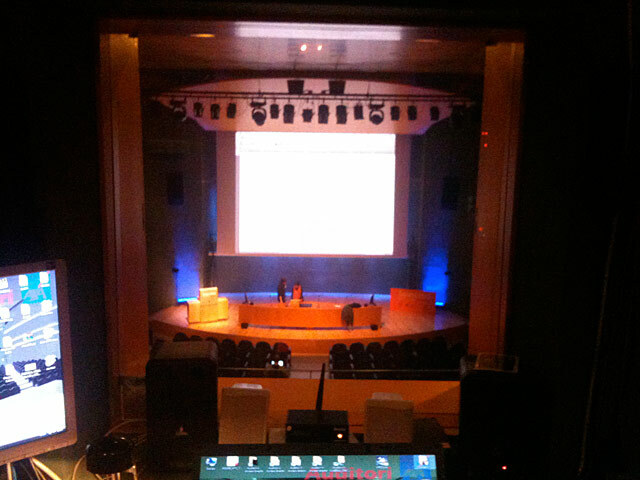 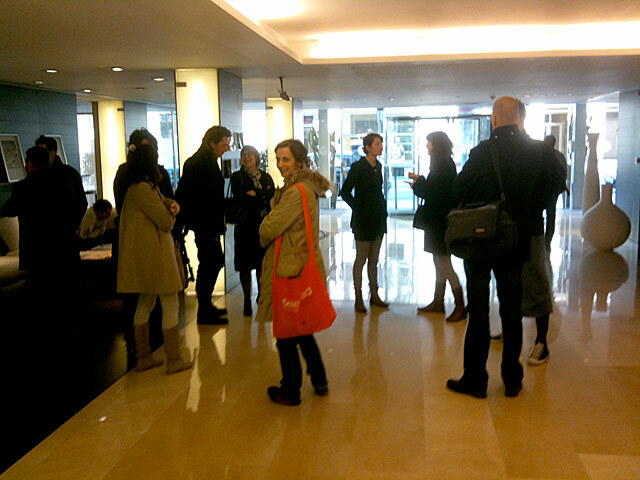 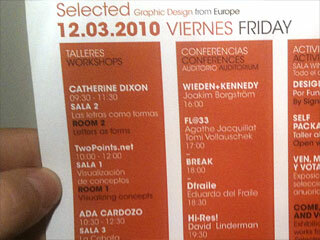 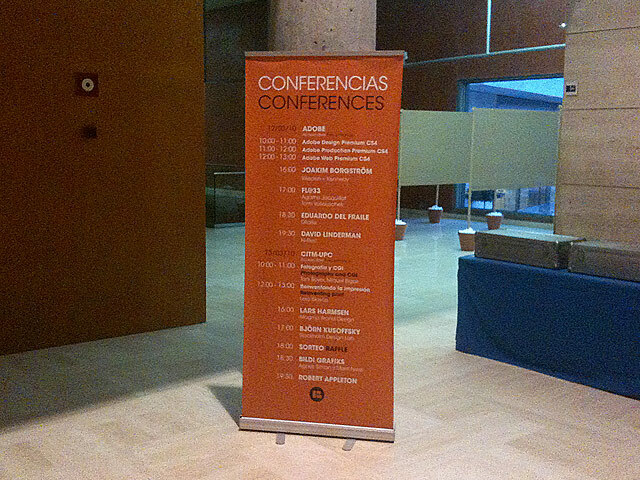 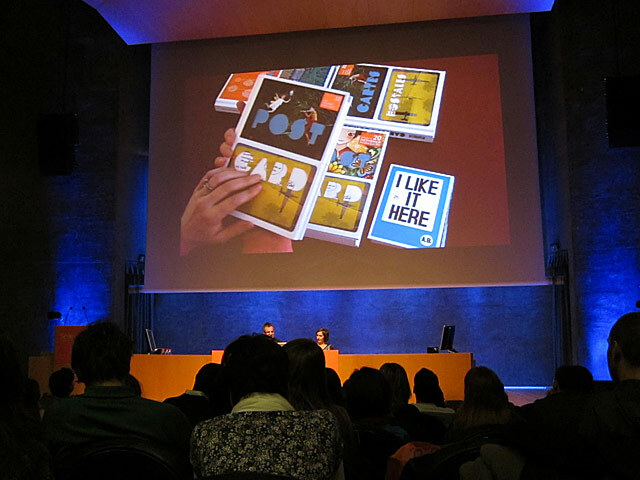 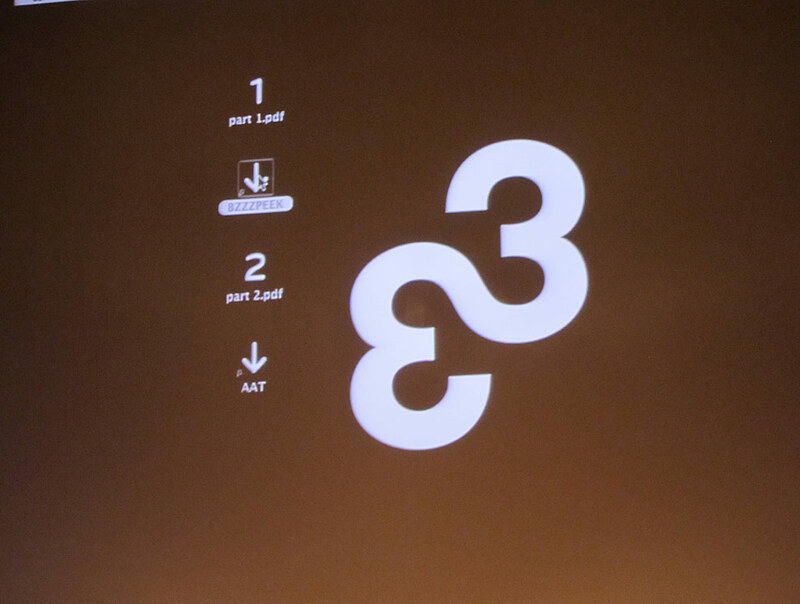 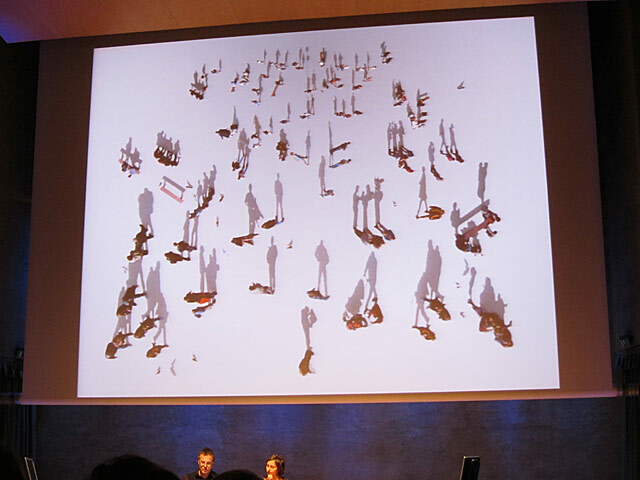 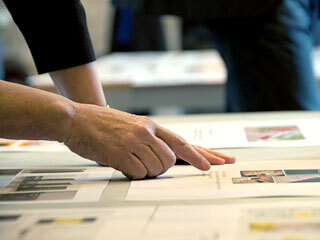 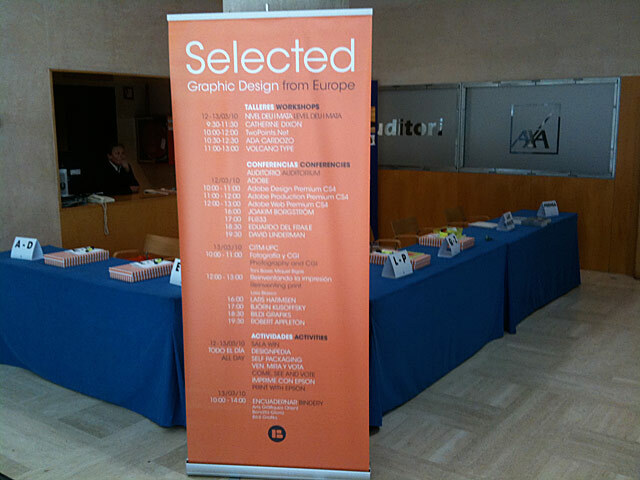 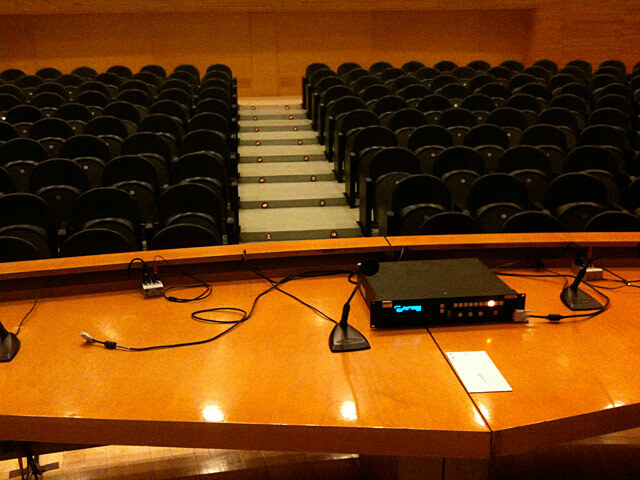 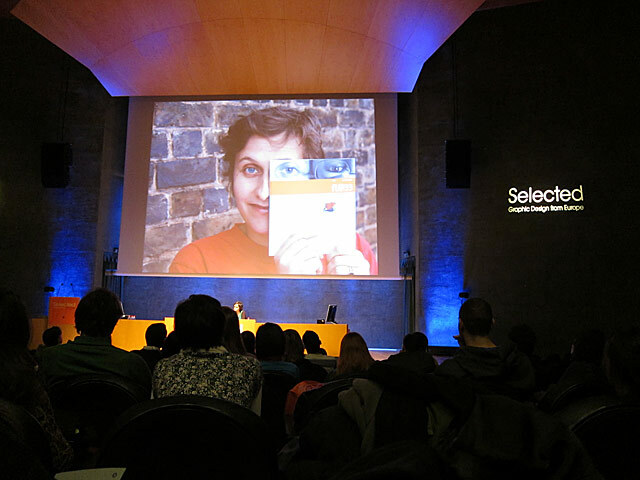 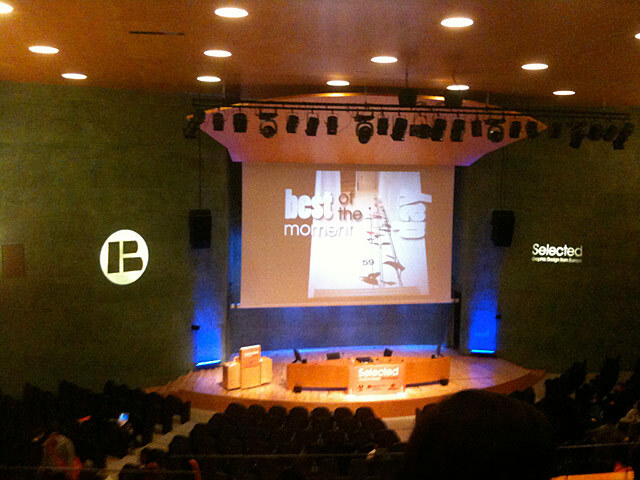 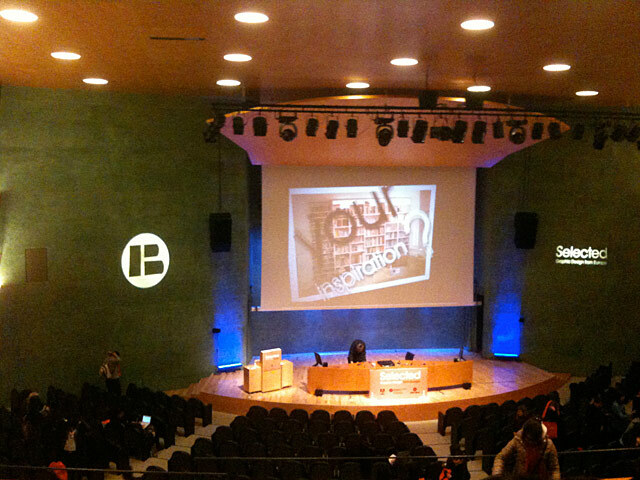 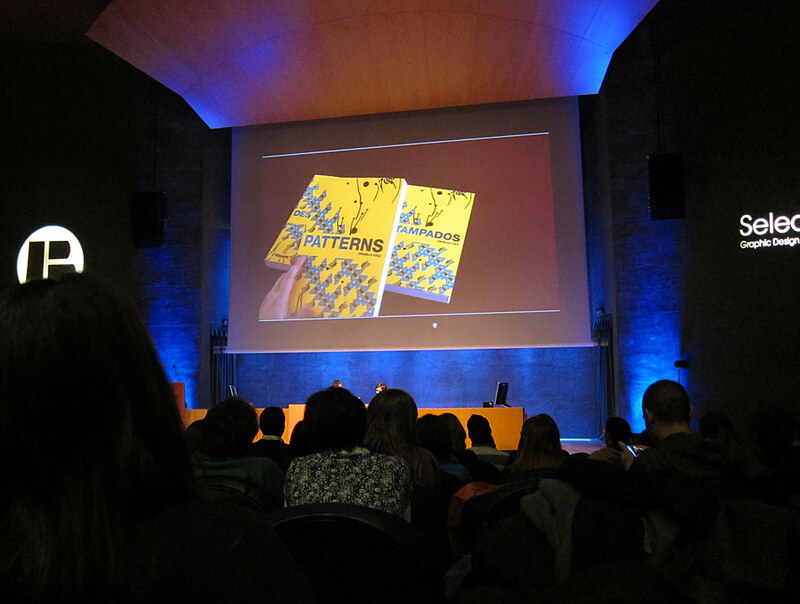 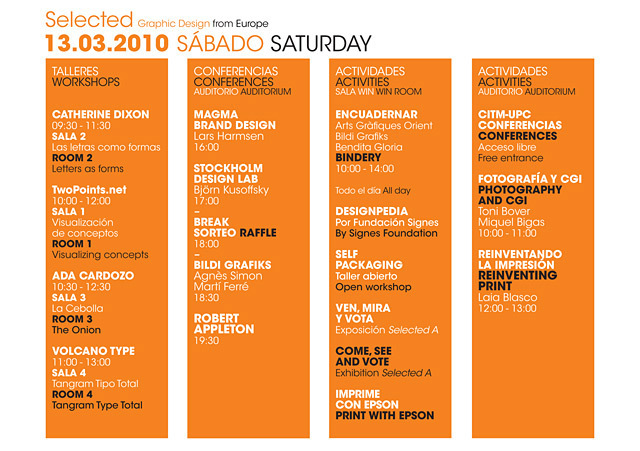 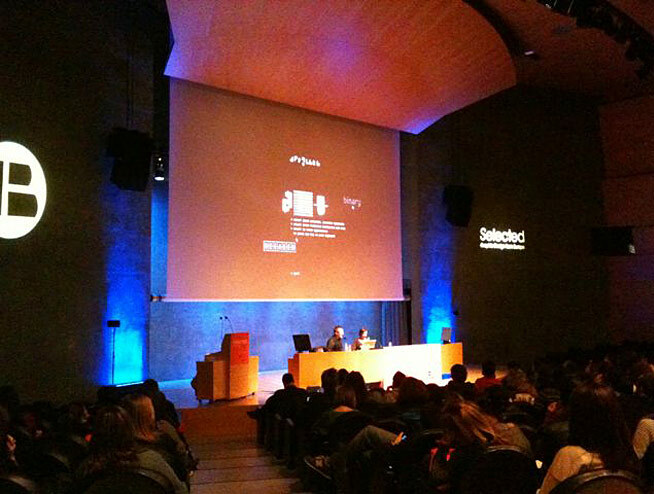 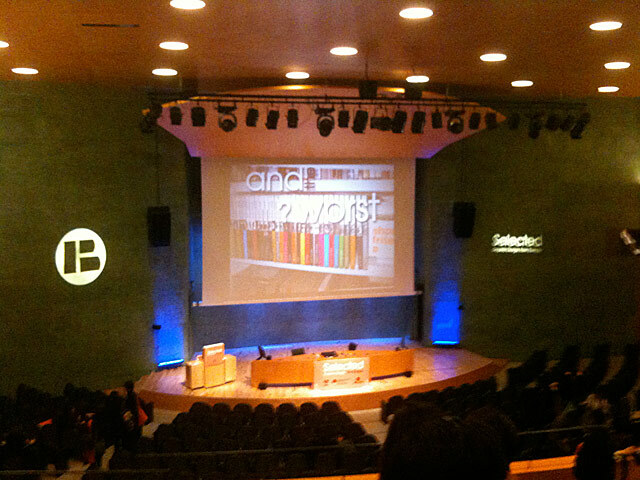 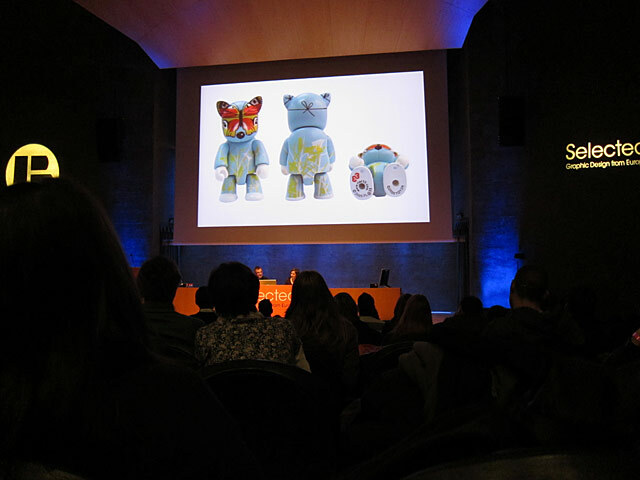 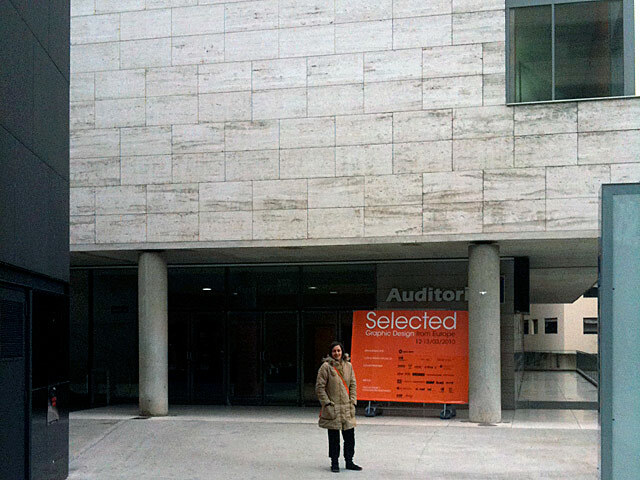 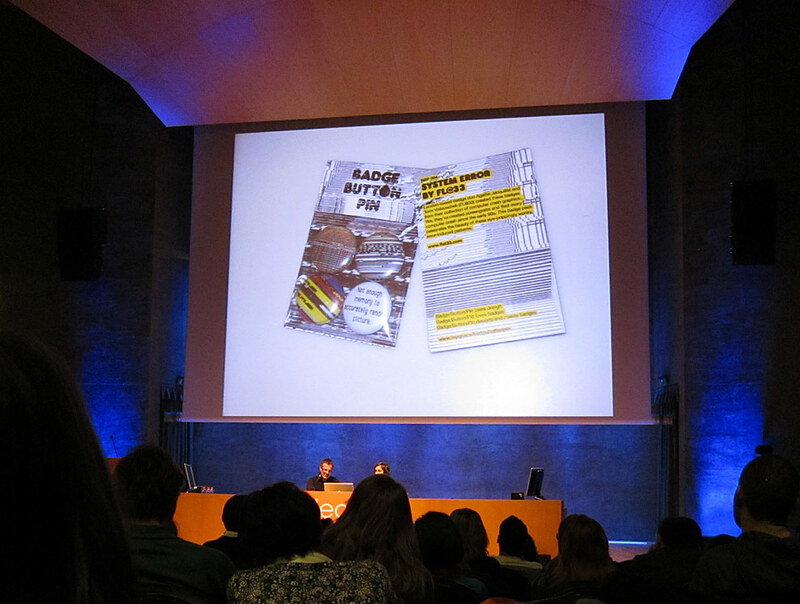 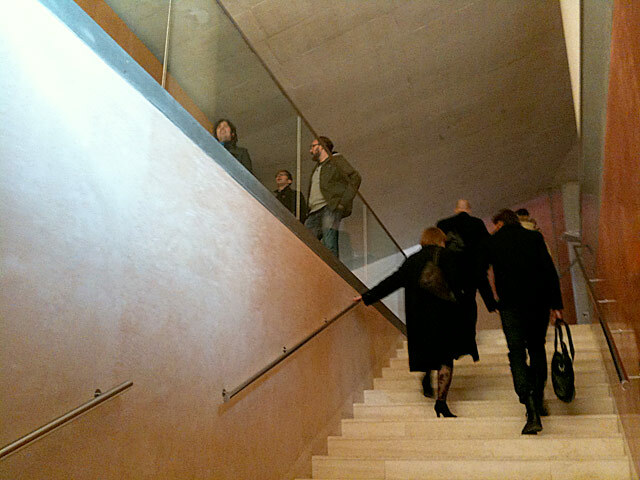 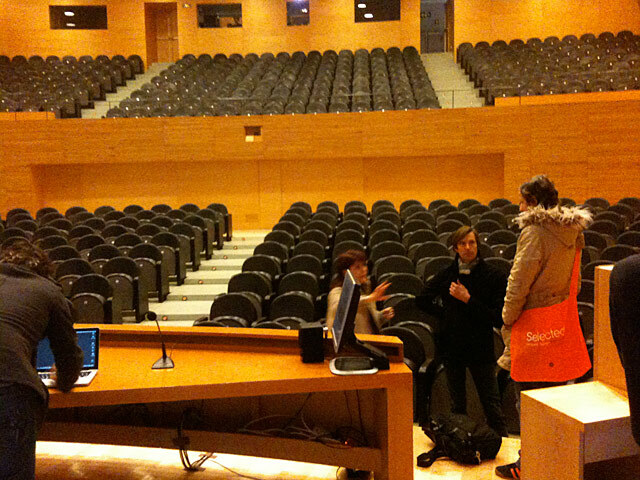 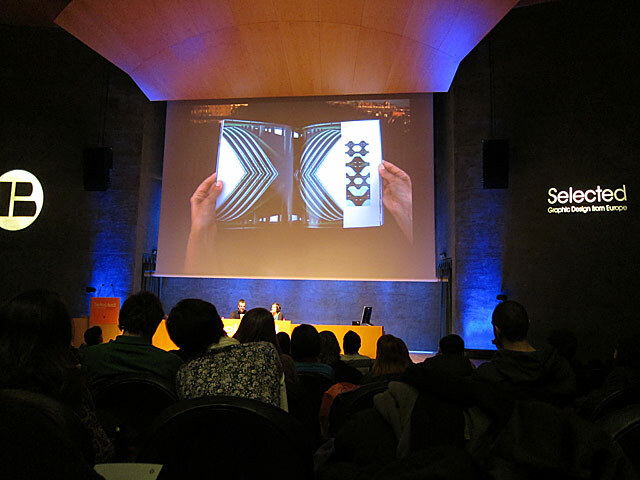 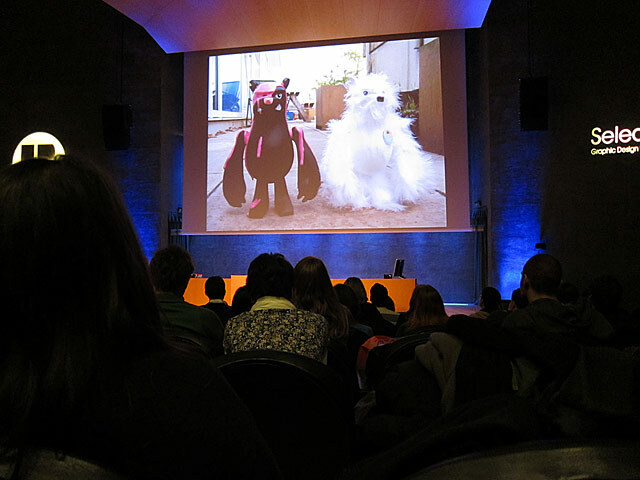 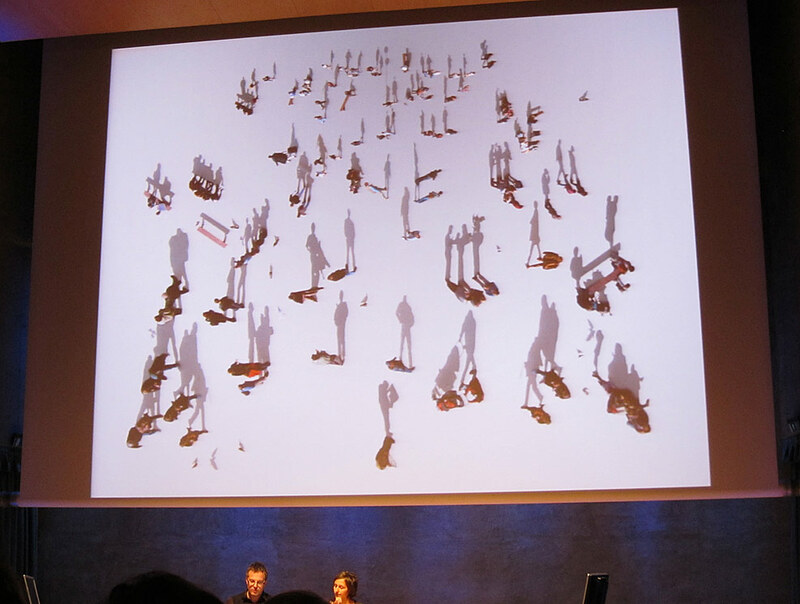 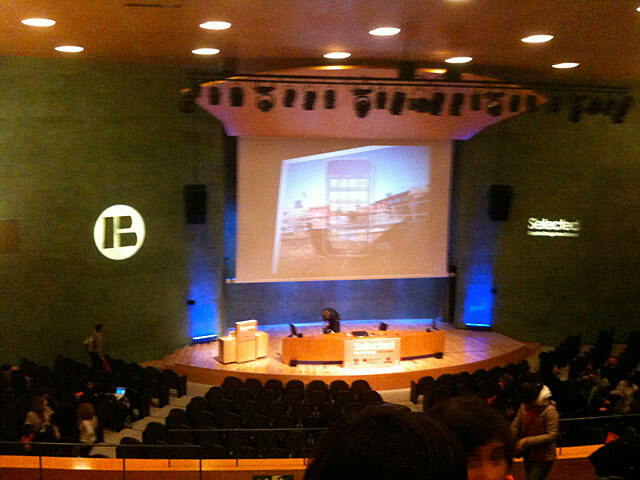 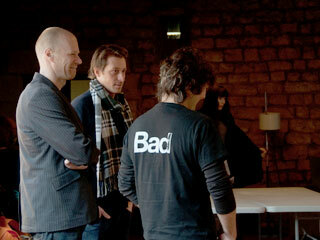 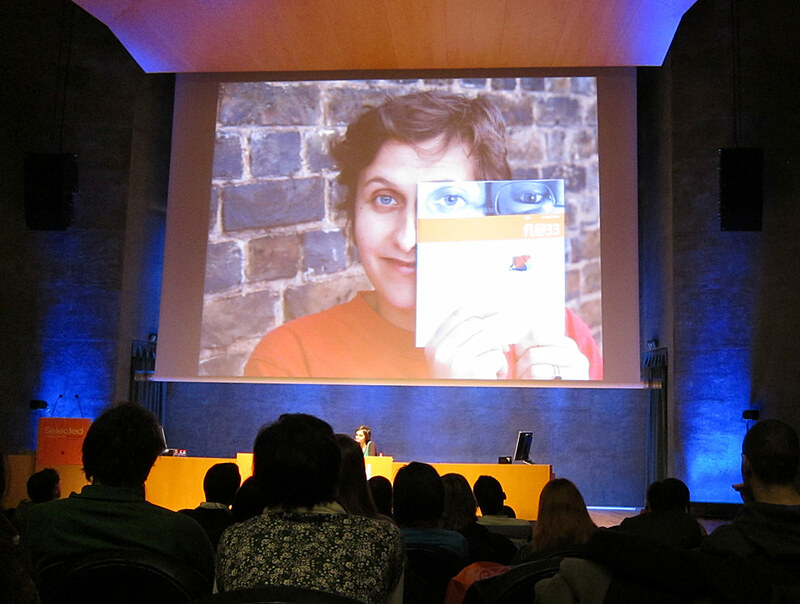 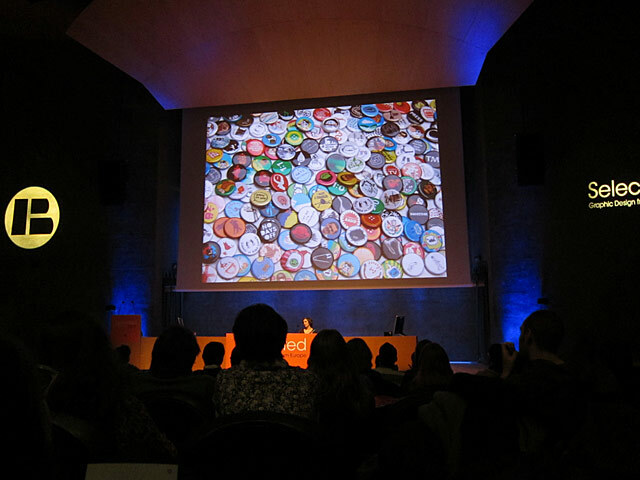 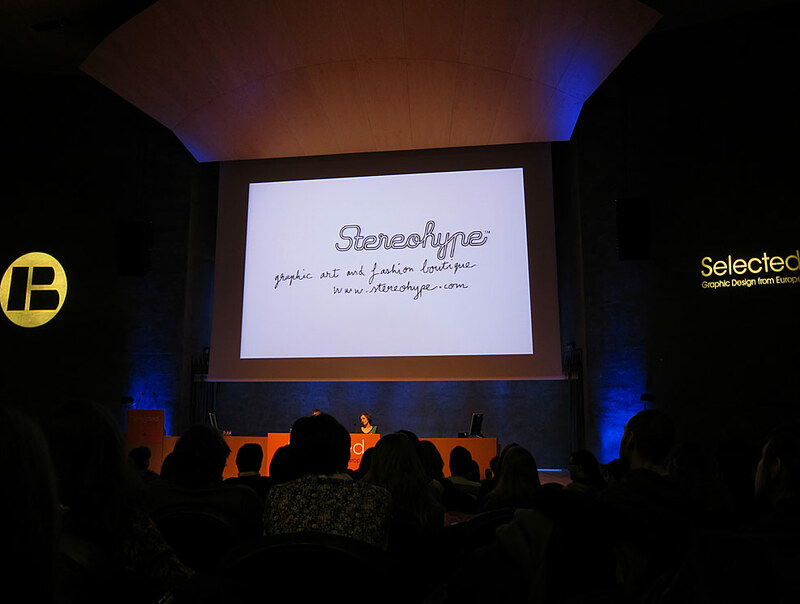 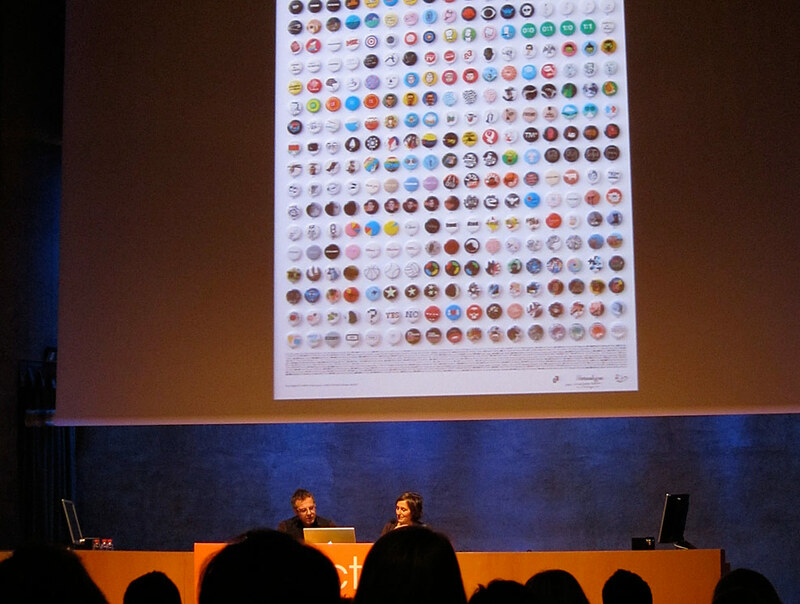 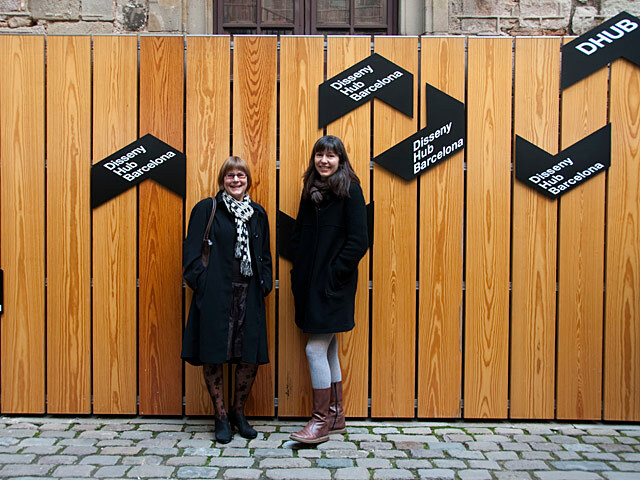 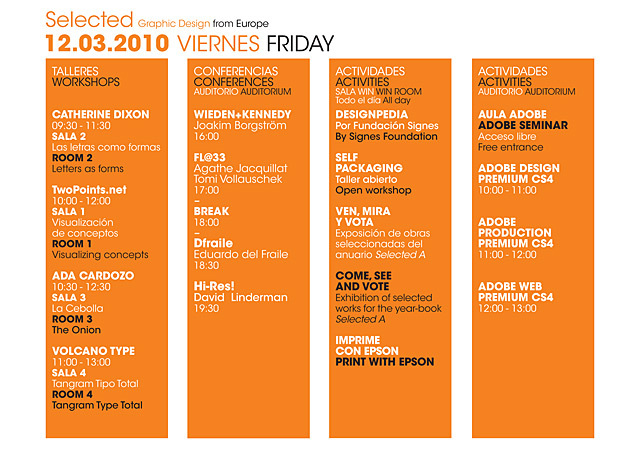 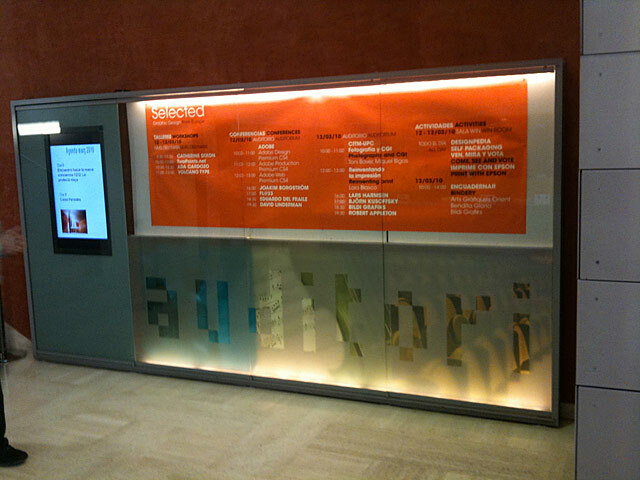 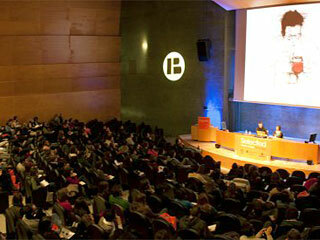 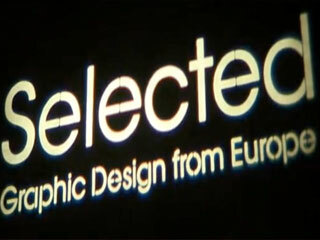 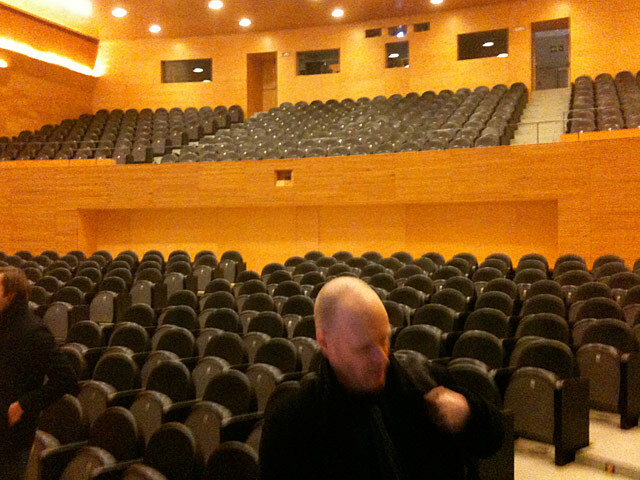 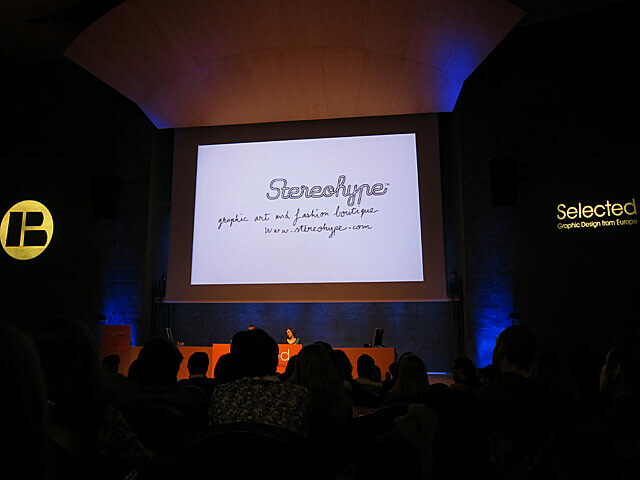 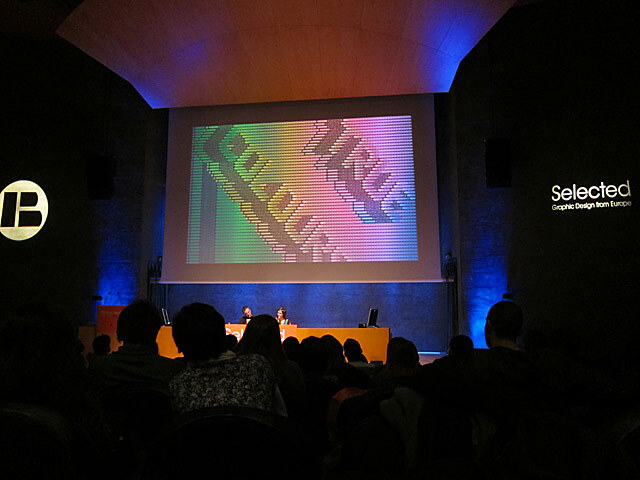 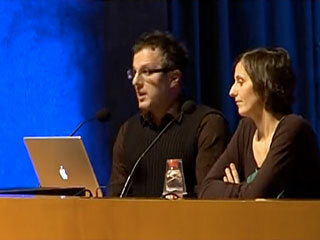 ___ The Selected A – Graphic Design from Europe conference took place in Barcelona's massive Axa Auditorium. 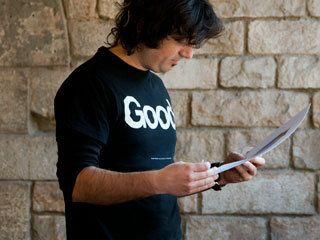 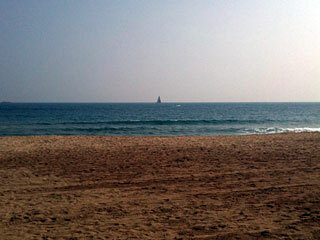 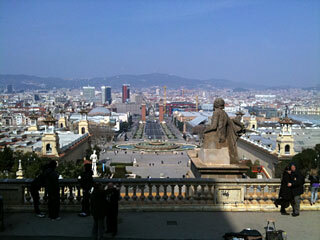 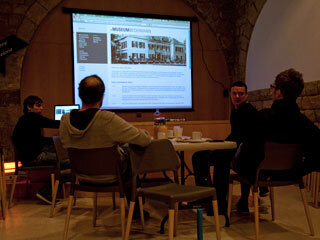 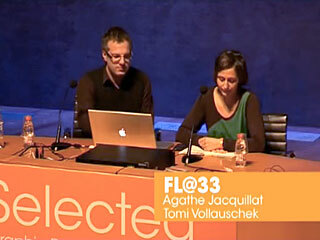 The FL@33 talk took place on Friday, March 12th, 2010, 5–6pm. 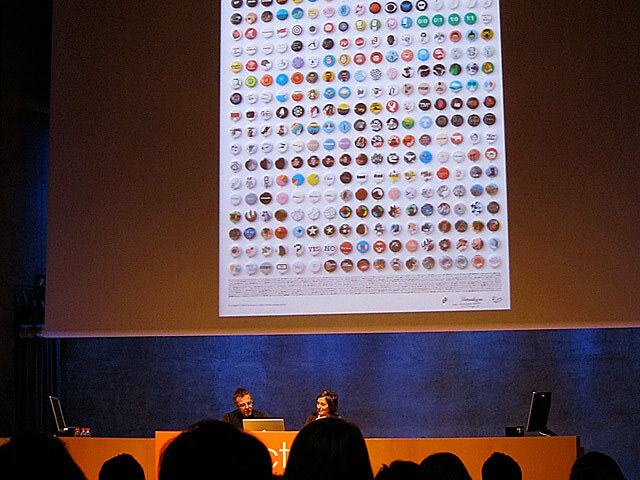 Other conference presentations included Wieden+Kennedy, Hi-ReS!, Magma Brand Design, Dfraile, Stockholm Design Lab, beside others and workshops with Twopoints.Net and Catherine Dixon. 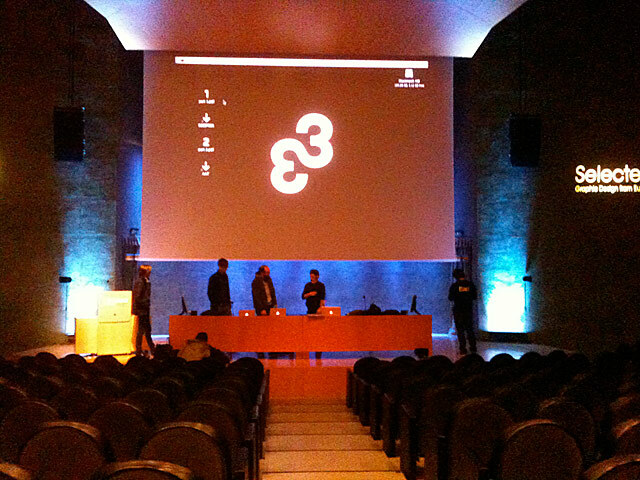 Pictures and video stills shown here of our logo at the video/sound check being projected onto the huge screen and of course from the talk itself and the judging process were partially taken by FL@33. 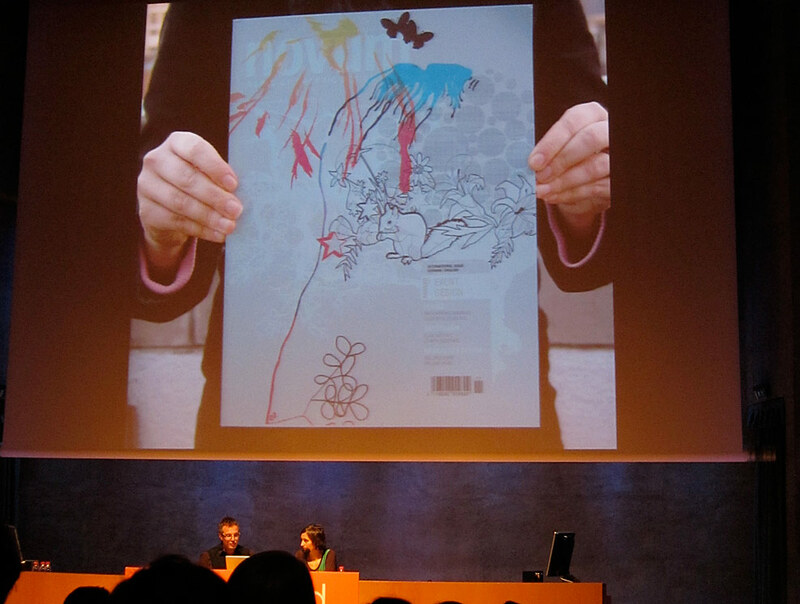 Most of them however are shown here with kind permission of Index Book and Leandro Araújo – one of the conference visitors.